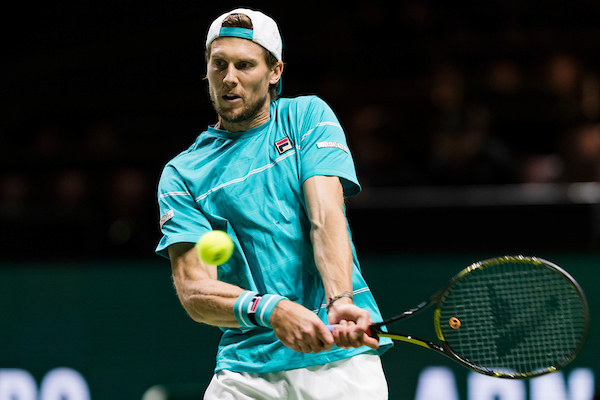 Andreas Seppi has become the first player to reach the second round at the 46th edition of the ABN AMRO World Tennis Tournament in Rotterdam after beating Peter Gojowczyk 7-6 (7-3) 3-6 6-2 after two hours. Gojowzyk saved the first break point in the first game to hold his serve for 1-0. The German went up 15-40 on return earning two break points in the eighth game, but Seppi saved both chances to draw level to 4-4. Seppi got the first break of the match at 15 in the 11th game to take a 6-5 lead, but Gojowczyk converted his second break-back point chance to draw level to 6-6 sending the first to the tie-break. Seppi earned a mini-break for 3-2 after a double fault from Gojowczyk en route to winning the tie-break 7-3. The second set started with three consecutive breaks. Gojowzyk was the first to hold his serve in the fourth game and opened a 3-1 lead. The German player held his next games and sealed the second set with a double break in the ninth game to close out the second set 6-3. Seppi bounced back in the third set by breaking serve twice in the first and third games to build up a 3-0 lead. The Italian veteran player never looked back in his next service games to close out the third set 6-2. 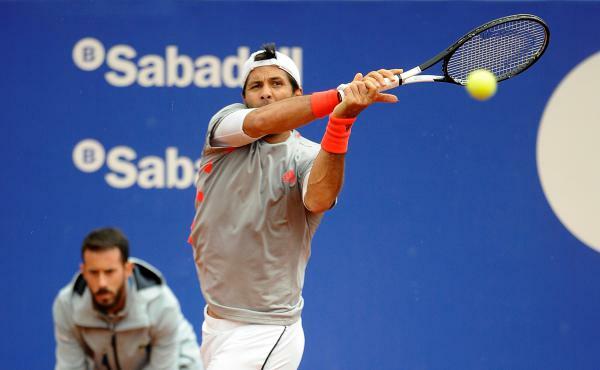 “My service was the deciding factor in the third set. He is a tough and quick opponent. I keep good memories of this tournament in Rotterdam where I beat Lleyton Hewitt and Rafael Nadal in the past”, said Seppi in the post match interview. Seppi will face either Gael Monfils or David Goffin in the second round. Mikhail Kukushkin beat Dutchman Robin Haase 6-2 7-6 (7-4). 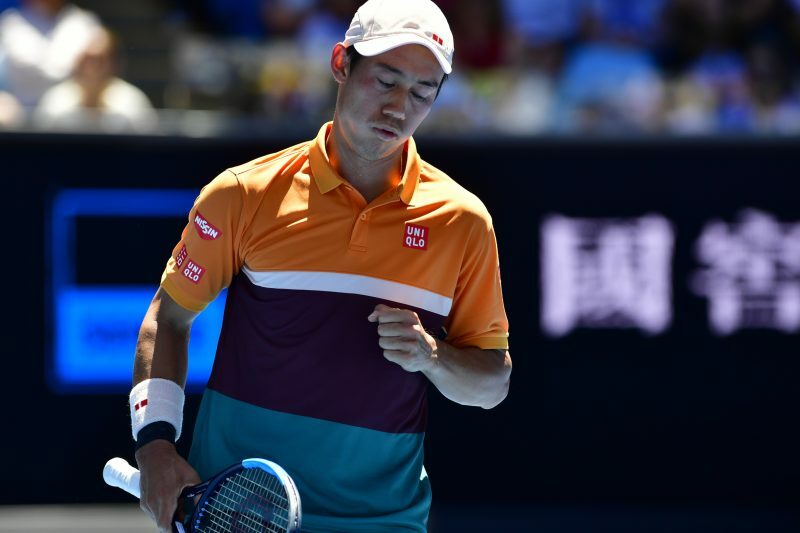 The Kazakh player earned two breaks in the first and fifth games to win the first set 6-2. Kukushkin saved a break point to hold his serve after two deuces in the sixth game for 3-3. 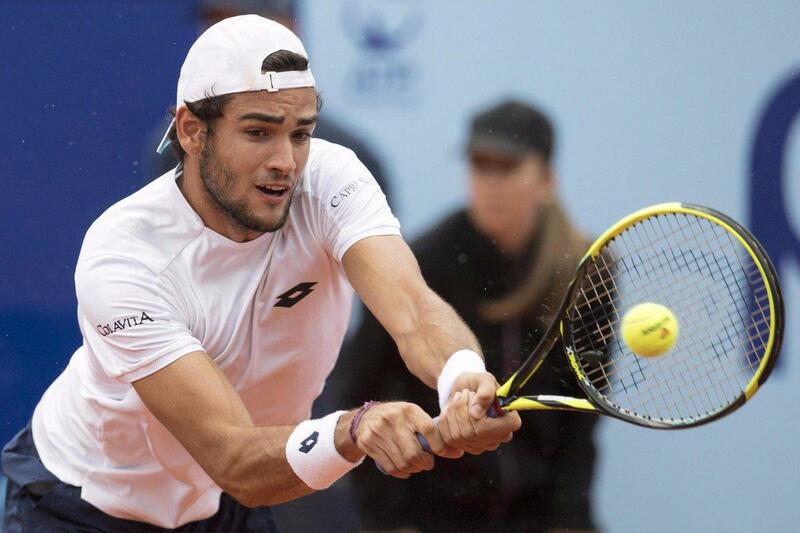 Haase had to fend off five break points in the 11th game to take a 6-5 lead. Haase held his serve at 15 for 6-6 to sen the second set to the tie-break. Kukushkin sealed the tie-break 7-4 on her first match point.